Digital advertising has made it easier for us to engage potential buyers but it’s still an imperfect discipline. 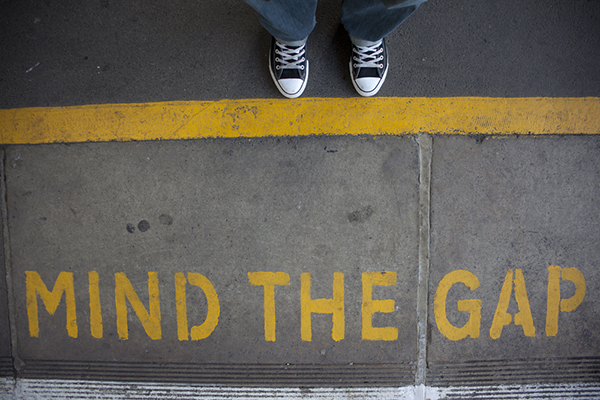 How can we close the gap between what we think consumers want and what they actually want? Digital advertising is the future. At least that’s what the numbers tell us. Last year, worldwide spending on the channel jumped by 20% and we can expect a further increase of 18% by the end of 2017. And this is just the start. By 2021, it’s predicted that digital will account for as much as 50% of US media spending, eclipsing every other channel - a trend we will no doubt see mirrored here in the UK. In a way, these stats aren’t that surprising. There’s little doubt that digital has transformed advertising for the better. But on the other hand, it’s a little strange. After all, digital is far from being the perfect channel. In fact, when you get into the numbers, it becomes clear that most of the money invested in online advertising is wasted. Now think about your own experience – can you remember the sales pitch of the last digital ad you saw? This isn’t to say that digital advertising is worthless. But there’s clearly room for improvement here. The problem is that a lot of advertisers aren’t creating the kind of content their audience wants to see. And there’s a simple reason for this – they don’t know what it looks like. They may have access to the best market research and a wealth of CRM data but that’s only giving them an impression of what their audience wants. And this impression is based mainly on what they know about their existing customers. If you want to create personalized and truly relevant ads, then you need to know what everyone – both your prospects and existing customers – wants. And to achieve this level of insight you need a whole lot of data. The information in your CRM – email addresses, phone numbers, names etc. And the data your customers and prospects generate online – hashed device IDs, cookies etc. Bring these two datasets together and you can build a complete view of your addressable market. And this enables you to do all sorts of interesting things. In short, you can see how everyone who interacts with your online advertising is behaving both before and after the point of sale. And this is the insight you need to start developing more specific and relevant messages. For example, if you can see what an unknown prospect consumed the first two times they interacted with your business, then you can make an intelligent decision on what they should receive the next time. It can also help you deliver the right amount of advertising. And this is crucially important at a time when content overload is causing consumers to reach for ad blocking software. We recently helped a multinational food manufacturer with this issue. They wanted to pinpoint the optimum number of interactions required to convince a consumer to buy their product. By analysing a combination of CRM and online data, they were able to identify this magic number and then, based on this insight, they reduced the amount of advertising they were creating. As a result, they saved $20 million. Now, we know what you’re thinking – this all sounds easy in theory, but capturing the right consumer data is hard. And that’s true. Your audience is unlikely to share their data with you unless they receive something in return. You also need to make sure that in pursuit of volume, you don’t sacrifice data quality or customer privacy. That’s why a lot of our customers are turning their attention to second-party data (first-party data captured by an external company.) It’s far more reliable than third-party data, it’s usually of a higher quality and it’s more likely to be compliant with regulations like GDPR. It also tends to be rich in user IDs and cookies. Best of all, it can be purchased in bulk, meaning you don’t have to invest time building a database. Of course, the holy grail is a database made up entirely of first-party data. And although convincing your customers to part with their data can be a challenge, there are numerous ways you can make this process more efficient. For example, food and drink multinational Nestle is now requesting just one data point every time they interact with a customer. And as its customers prefer to share data on an iterative basis, instead of filling in a long form, Nestle is able to build its database incrementally. Digital may be the future of advertising, but that doesn’t mean that the digital marketing strategy of today will continue to work tomorrow. As consumer expectations rise, their tolerance for bad or irrelevant advertising lowers. So, if you’re to earn the attention of buyers (and that all important click), then you’re going to have to play by their rules. This means delivering the right message about the right product to the right device at the right time. The good news is that the data you need to do this is out there. It’s just a matter of finding it. See how we can help you engage your whole audience with Salesforce DMP. Or download this Forrester report to understand why Salesforce received the top strategy score among data management vendors.